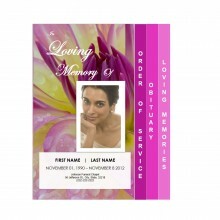 Simply select a funeral program template design from our store. 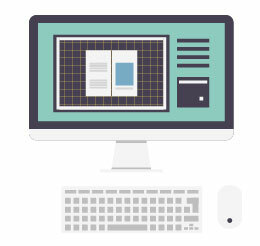 Easily insert your content or even let us do it for you! 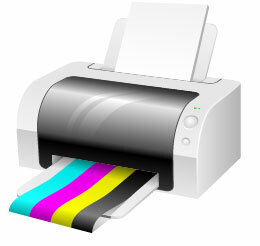 Print from the comfort of your own home or at a local office supply store. Relax, let us edit it for you! 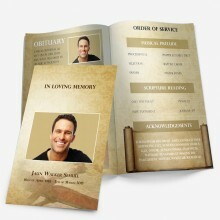 What is a Printable Funeral Program Template? 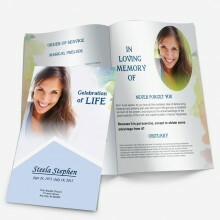 Funeral Pamphlets are a great way to pay tribute to a loved one by providing a lasting keepsake. We are dedicated to making sure our customers are provided a stress-free experience with their printable funeral programs, which can be easily edited through Microsoft Word and printed in limitless quantities at a very affordable price. 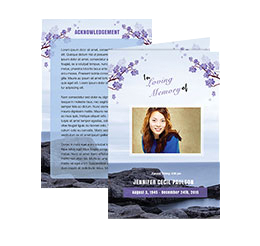 These beautiful funeral program templates may be distributed at the funeral service to provide attendees with a memorial keepsake of the deceased loved one. 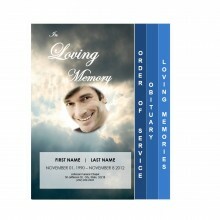 The templates may also be used as memorial programs and/or for a memorial service. 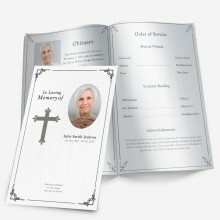 Check out our lovely selection of funeral programs in our store. We offer beautiful funeral service programs for instant download at a low price. 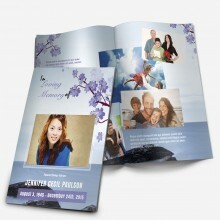 Each one of our funeral program templates is made with a unique design consisting of high-quality color-coordinated covers and inside pages.The inside pages of each funeral pamphlet contain an obituary template and an order of service template, however you may change the content according to your needs. Our templates are made easy to edit through Microsoft Word®. 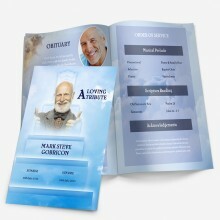 Upon purchasing a Single Fold, Graduated 2 Step, Graduated 4 Step Programs, Gatefold, Collage Tri Fold Brochure, or Funeral Card; you may immediately download your template. 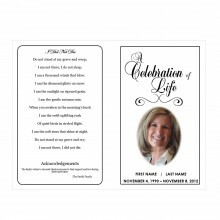 You may then easily edit/customize and print as many funeral program templates as you need! Please feel free to contact us by email or phone if you have any questions or concerns, it’s our job to make your life easier.